I’ve been aware of this book for quite some time now but never got around to reading it. So when I received an invitation to join the Blog Tour, I decided the time had come to see what the hype was about. I’m happy to say the hype is well-deserved. If I could use two words to describe this book, they would be poignant and haunting. The story is told in a manner that is poetic in its simplicity, that draws you in slowly yet deeply with each word. There is a definite dark fairy-tale feel to it and the eerieness experiences throughout is one its qualities that I best loved. 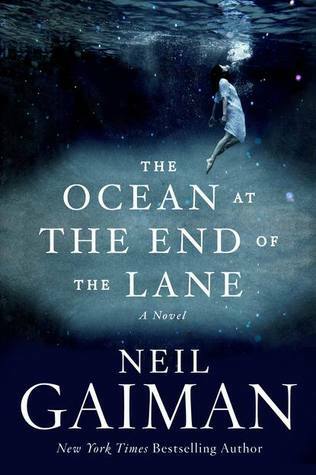 The Ocean At The End Of The Lane is a lyrical tale beautifully woven of magic, mystery and the innocence of childhood. The writing is beautiful and seduces the reader into falling in love with the characters, making one feel as though one is privy to their deepest thoughts and whims, allowing one to be fully immersed in this world. 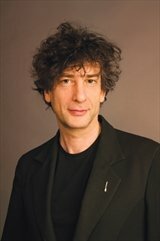 Mr Neil Gaiman is a master storyteller and I can honestly say that his in a unique voice which I would like to ‘hear’ more of. I intend to read everything he has ever published and I urge all readers, regardless of which genres are your favourites, to do the same.